As the holiday season continues, remember that there are plenty of ways to celebrate in the cities, towns and villages of the 88th Assembly District. Here’s a closer look at some of the events that are taking place. Remember that if you have an event that you’d like me to include in the coming weeks, send the information to Paulina@NYAssembly.gov. The White Plains History Roundtable will celebrate the grand opening of the new local history room at the White Plains Library (100 Martine Avenue, White Plains) from 6:30 -8:30 p.m. There will be an exhibit documenting the suffrage movement in Westchester while Nate Levin will discuss the historical narratives surrounding the movement. Visit whiteplainslibrary.org for more information. Eastchester’s 8th annual Green Medallion Award Celebration will take place from 6-8 p.m. at Broken Bow Brewery (173 Marbledale Road, Tuckahoe). The Eastchester Environmental Committee will be honoring Thomas Andruss and Crestwood Shoe Repair. Visit greeneastchester.com for more information. The GospelKnights Winter Concert will take place at Concordia College (171 White Plains Road, Bronxville) at 7:30 p.m. Visit concordia-ny.edu for more information. Sarah Lawrence College (1 Mead Way, Bronxville) will host the 29th Semi-Annual Science Poster Session from 6-8 p.m. Students will present posters of their conference work from biology, chemistry, computer science, philosophy, physics, and psychology. The college’s theatre program will also present “A Bright Room Called Day”, a play about German artists and intellectuals during the Third Reich’s infancy, at 7 p.m. Love and Squalor, the school’s literary magazine, will host Nicole Cooley for a reading between 7-10 p.m. Finally, the Hamm & Clov Stage Company will present the Labyrinth Dance Theater’s Production of NOOR at the Performing Arts Center Suzanne Werner Wright Theatre at 8 p.m. It is the story of a young female pacifist named Noor who was the first Morse code operator from Great Britain to infiltrate Nazi-occupied France during WWII. She was ultimately betrayed and executed at Dachau. Visit sarahlawrence.edu for more information. The Bronx Opera Company will perform arias and seasonal favorites in a 7 p.m. concert at The St. Paul’s Church and National Historic Site (897 South Columbus Avenue, Mount Vernon). Contact David Osborn at 914-667-4116 for more information. The White Plains High Winter Concert, featuring the orchestra and the band, will take place at the High School (550 North Street, White Plains) at 7 p.m. Visit whiteplainspublicschools.org/domain/184 for more information. The Thomas Paine Cottage (20 Sicard Avenue, New Rochelle) will kick off its Toys For Tots weekend from 5-7 p.m. The festivities will continue from 3-7 p.m. on Saturday and Sunday. Take photos with Santa, take candlelight tours of the historic home and remember to bring an unwrapped donation for Toys for Tots. Visit thomaspainecottage.org for more information. young people with Down Syndrome embarking on a trip through the Indian Himalayas, at 10:30 a.m. Visit jccmw.org for more information. The After Dark Book Club will meet at The Pelham Library (530 Colonial Avenue, Pelham) to discuss “Last Days of Night” by Graham Moore at 7:30 p.m. Visit pelhamlibrary.org for more information. The Scarsdale Library will host its Black, White and Read All Over Casino Night at The Fenway Golf Club (384 Old Mamaroneck Road, Scarsdale) at 7:30 p.m. The fundraiser will benefit The Campaign for the Scarsdale Public Library. The Scarsdale Library will continue its Golden Age on the Silver Screen movie with a 1:45-p.m. showing of “Cocoon”, the 1985 film directed by Ron Howard. Visit scarsdalelibrary.org for more information. Sarah Lawrence College (1 Mead Way, Bronxville) will present “A Bright Room Called Day”, a play about German artists and intellectuals during the Third Reich’s infancy, at 7 p.m. Visit sarahlawrence.edu for more information. Westchester County Center in White Plains. Visit westchester.gleague.nba.com/ for more information. The Westchester Jewish Community Service Holiday Party will take place at Dave & Busters (881 Pelham Parkway, Pelham Manor) from 12:30-3:30 p.m. Visit wjcs.com for more information. 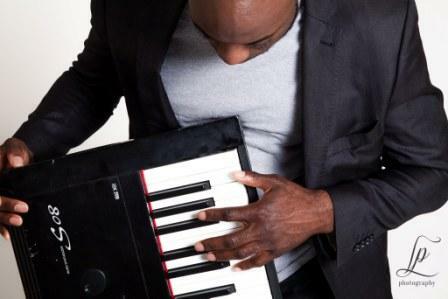 Jazz pianist Dinah Vero will perform at Alvin & Friends Restaurant (14 Memorial Highway, New Rochelle) from 7-10:30 p.m. Visit alvinandfriendsrestaurant.com for more information. 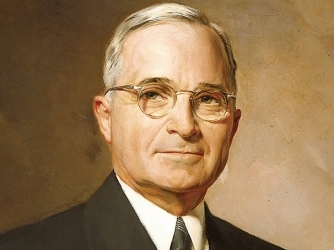 The Tuckahoe Library (71 Columbus Avenue, Tuckahoe) will present “Harry S. Truman and Latin America” at 2 p.m. Visit tuckahoelibrary.org for more information. The Archbishop Stepinac High School Theatre Company (950 Mamaroneck Avenue, White Plains) will present “Newsies” at 7:30 p.m. on Friday and Saturday and 2 p.m. on Sunday. Visit stepinac.org for more information. The Scarsdale Parks and Recreation Department, along with the Scarsdale Chamber of Commerce, will host a holiday breakfast from 9-11 a.m. at Scarsdale High (1057 Post Road, Scarsdale) for all pre-K through 4th-grade youngsters. Santa will be on hand for pictures. 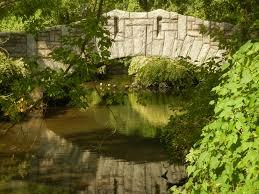 Visit scarsdale.com/207/Parks-Recreation-Conservation for more information. The St. Paul’s Church and National Historic Site (897 South Columbus Avenue, Mount Vernon) will host harpist Alyssa Reit and Peter Reit on French horn as they perform holiday music classics from 1-3:30 p.m. Visit nps.gov/sapa for more information. 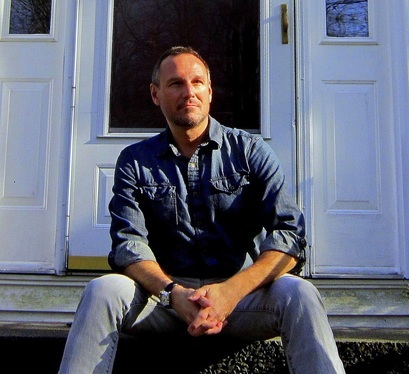 The Walkabout Clearwater Coffeehouse Music Series will continue at The Memorial United Methodist Church (250 Bryant Avenue, White Plains) at 7:30 p.m. Garnet Rogers is scheduled to perform. Visit walkaboutclearwater.org for more information. The Bartow-Pell Mansion Museum (895 Shore Road, Pelham Bay Park) will host a Candlelight Tour and Victorian Carolers from 6-8 p.m. Visit bartowpellmansionmuseum.org for more information. The Music Conservatory of Westchester (216 Central Avenue, White Plains) will host Performathon 2017 from 10 a.m.-6 p.m. Contact Conservatory Development Manager, Aishling Quinn at aishling@musiced.org or call (914) 761-3900, ext. 113, for more information. Children’s author Sandra L. Richards will read from her debut book, Rice and Rocks, at Barnes & Noble (680 Post Road, Scarsdale) at 4 p.m. Visit https://stores.barnesandnoble.com/store/3304?view= for more information. Avalon Rose will perform at Growlers Beer Bistro (25 Main Street, Tuckahoe) at 9:30 p.m. Visit growlersbeerbistro.com for more information. Sal “The Voice” Valentinetti, from America’s Got Talent, will perform at The Westchester County Center in White Plains at 8 p.m. Visit counytcenter.biz for more information. The White Plains High School PTA will host its annual holiday craft fair from 10 a.m.-4 p.m. at White Plains High School (550 North Street, White Plains). Visit whiteplainspublicschools.org/domain/184 for more information. 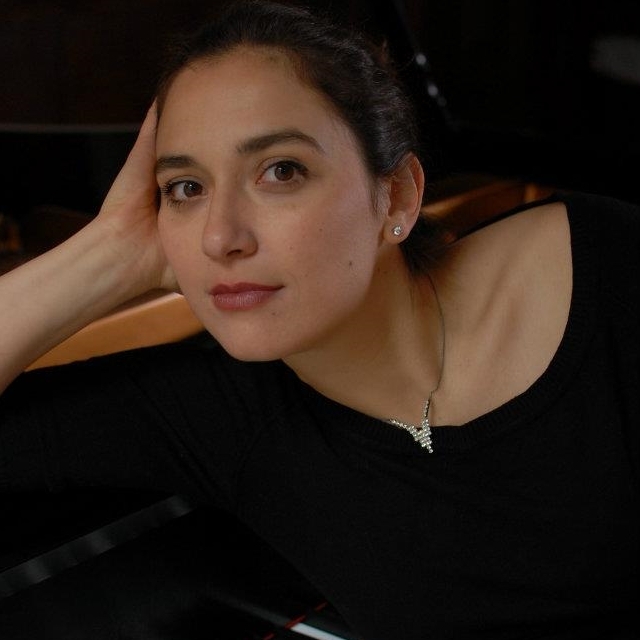 The Leslie Pintchik Trio will perform at Alvin & Friends Restaurant (14 Memorial Highway, New Rochelle) from 7:30-11 p.m. Visit alvinandfriendsrestaurant.com for more information. The Poet’s Corner (570 Main Street, New Rochelle) will host a Holiday Craft Sculpture Workshop from 4-5:30 p.m. Call 914-235-4551 for more information. Comedian Mike Burton will perform at Rockwell’s (105 Wolfs Lane, Pelham) at 9:30 p.m. Visit rockwellsusa.net for more information. New York Philharmonic cellist Sumire Kudo will perform as part of the Hoff-Barthelson Music School’s Festival Orchestra at The Community Unitarian Universalist Church (468 Rosedale Avenue, White Plains) at 7 p.m. Visit hbms.org for more information. The City of New Rochelle will host the Hugh A. Doyle Holiday Luncheon at The Doyle Senior Center (94 Davis Avenue, New Rochelle) from 1-4 p.m. Visit newrochelleny.com for more information. 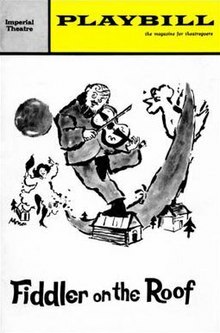 The Jimmy Moore Holiday Show will take place at The Bronxville Library (201 Pondfield Road, Bronxville) from 2-3 p.m. Visit bronxvillelibrary.org for more information. The Picture House (175 Wolfs Lane, Pelham) will present The New York City Ballet’s “The Nutcracker” Movie, along with live performances, at 3 p.m. Visit thepicturehouse.org for more information. Olmstead Road, Scarsdale) at 2 p.m. Visit scarsdalelibrary.org for more information. 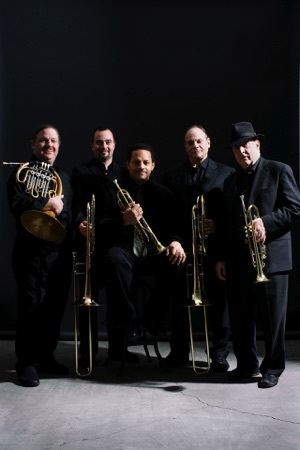 The Bartow-Pell Mansion Museum (895 Shore Road, Pelham Bay Park) will host The Manhattan Brass Quintet, sponsored by the Bronx Arts Ensemble, as they perform a 1 p.m. holiday concert. Visit bartowpellmansionmuseum.org for more information. The Westchester Toy and Train Show will take place at The Westchester County Center in White Plains from 9 a.m.-3 p.m. Visit westchestertoytrain.com for more information. The Ritz-Carlton New York, Westchester (Three Renaissance Square, White Plains) will host a lavish buffet breakfast with Santa between 9-10 a.m. Visit ritzcarlton.com/en/hotels/new-york/westchester/hotel-overview/calendar for more information. The Hitchcock Presbyterian Church (6 Greenacres Avenue, Scarsdale) will host the 12th annual Community-wide Carol Sing and Tree Lighting from 4-5 p.m. Visit hitchcockpresby.org for more information. The Beth-El Synagogue Center (1324 North Avenue, New Rochelle) will host a blood drive from 8:30 a.m.-12:30 p.m. Visit bethelnr.org/blooddrive for more information. St. Luke’s Lutheran Church (95 Eastchester Road, New Rochelle) will host “SHOUT FOR JOY! A Christmas Concert to Make the Heart Sing” at 4 p.m. Visit www.breanettaproductions.com for more information. Historian Barbara Davis will give a presentation on “Recruit Week” and New Rochelle’s other unique roles in World War I at the New Rochelle Public Library (1 Library Plaza, New Rochelle) from 2-3 p.m. Visit nrpl.org for more information. The Eastchester Library (11 Oakridge Place, Eastchester) will host its Library book Festival from 2-4 p.m. Join local Westchester authors as they sign copies of their books. Visit eastchesterlibrary.org for more information. The Church of St. Joseph (15 Cedar Street, Bronxville) will present Handel’s Messiah (Part 1) from 3-5 p.m. Visit saintjosephsbronxville.org for more information. We’ve made it through Thanksgiving and now the holiday season is in full swing. This is one of my favorite times of the year. I love spending it with friends and family. What better way to enjoy their company than to take advantage of everything the cities, towns and villages of the 88th Assembly District have to offer. The Sarah Lawrence College Gerda Lerner Lecture Series will continue with a 6 p.m. discussion led by author Stephen O’Connor entitled “Thomas Jefferson Dreams of Sally Hemings”. The presentation will take place at Slonim House Living Room (915 Kimball Avenue, Bronxville). Visit sarahlawrence.edu for more information. The Bronx Opera Company will perform arias and duets of popular seasonal classics at St. Paul’s Church and National Historic Site (897 South Columbus Avenue, Mount Vernon) at 7 p.m. Visit nps/gov/sapa for more information. The Junior League of Bronxville will host a Community Advisory Board Breakfast at The People’s United Bank (111 Kraft Avenue in Bronxville) at 9 a.m. I will be one of the featured speakers and I will discuss the problem of child marriage in New York State. Visit jlbronxville.org for more information. The Bronx River Watershed Summit will take place at the Westchester County Center from 10 a.m.-5 p.m. This is the inaugural event to promote projects that preserve, improve and restore the Bronx River. Visit bronxriverwatershedsummit.eventbrite.com for more information. The New Rochelle Chamber of Commerce will host its 2016 Holiday Lighting Ceremony at 6 p.m. at Memorial Plaza (6 Memorial Highway, New Rochelle). Visit newrochellechamber.org for more information. The Westchester Reform Temple (255 Mamaroneck Road, Scarsdale) will host its fourth annual Water & Wine celebration at 6:30 p.m. Enjoy Israel’s wine revolution and speak with an Israeli wine expert. Visit wrtemple.org for more information. The JCC of Mid-Westchester (999 Wilmot Road, Scarsdale) will host New York University professor Ralph Buultjens as he discusses “The New President’s Inbox” at 7:30 p.m. Visit jccmw.org for more information. The Westchester Italian Cultural Center (24 Depot Square, Tuckahoe) will present “An Appreciation of Color and Light”, the second installment of its Understanding Italian Renaissance Paintings series at 6:30 p.m. Visit wiccny.org for more information. The New Choral Society will present Handel’s Messiah Part I with selections from Parts II and III at the Hitchcock Presbyterian Church (6 Greenacres Avenue, Scarsdale) at 8 p.m. Visit hitchcockpresby.org for more information. The New Rochelle Library (1 Library Plaza, New Rochelle) will be holding a “Friends Huge Book Sale” from 9 a.m.- 3 p.m. on Friday and Saturday. Visit nrpl.org for more information. The Hoff-Barthelson Music School (25 School Lane, Scarsdale) will host “The Song Is You” as part of its Jazz Vocal Workshop Series at 7 p.m. on Friday and Saturday. MJ Territo will be the guest vocalist. Visit hbs.org for more information. The Jared Pauley Quartet will perform at Alvin & Friends Restaurant (14 Memorial Highway, New Rochelle) from 7-11 p.m. Visit alvinandfriendsrestaurant.com for more information. The Gem and Jewelry Show will take place at the Westchester County Center from noon to 6 p.m. Shop from designers, wholesalers and manufacturers. The show will continue on Saturday (10 a.m.-6 p.m.) and Sunday (11 a.m.-5 p.m.). Military and their immediate families receive free admission with proper ID. Visit countycenter.biz for more information. The Bartow-Pell Mansion Museum will host its annual Holiday Luncheon from 12:30-2 p.m. There will be delicious food, shopping and home-baked goods. Visit bartowpellmansionmuseum.org for more information. The Bartow-Pell Mansion Museum (895 Shore Road, Pelham Bay Park) will host its “Holiday First Friday Music & Trolley” program from 5:30-8:30 p.m. The MetropoliTones will perform while the trolley will make hourly trips from the #6 Pelham Bay Park subway station. Visit bartowpellmansionmuseum.org for more information. The Bronxville Hometown Holiday Tree Lightning will take place at 5 p.m. in Leonard Morange Square. Visit bronxvillechamber.org for more information. The Ajkun Ballet Theatre will perform The Nutcracker at The Whitney Theater (265 Clove Road, New Rochelle) at 7 p.m. There will also be performances at 2 p.m. and 7 p.m. on Sunday. Visit ajkunbt.org for more information. The Bronxville Chamber of Commerce will turn a vacant storefront into Santa’s North Pole Workshop (118 Kraft Avenue, Bronxville) from 5:30-7:30 p.m. and again on Saturday (10 a.m.-2 p.m.) and Sunday (Noon-2 p.m.). Visit bronxvillechamber.org for more information. Temple Israel of New Rochelle (1000 Pinebrook Boulevard, New Rochelle) will host a “Community Shabbat/Service Dinner” beginning with a 6 p.m. service. The dinner is slated to begin at 7 p.m. Visit tinr.org for more information. Moshe Halbertal, the scholar-in-residence at Beth-El Synagogue Center (1324 North Avenue, New Rochelle) will speak about the Jewish Democratic State and Israel Between Nationalism, Religion and Democracy at 7:45 p.m. The presentation will be preceded by services and a dinner. Visit www.bethelnr.org for more information. The Pelham Art Center (155 Fifth Avenue, Pelham) will host its annual Diwali: Hindu Festival of Lights celebration from 1:30-3:30 p.m. Visit pelhamartcenter.org for more information. The Westchester Italian Cultural Center (24 Depot Square, Tuckahoe) will present “Two Medici Women”, which is the story of two powerful women, Caterina, who became the Queen of France over unbelievable hardships, and the last Medici woman, Anna Maria Luisa, and her gift to Florence, at 10:30 a.m. Visit wiccny.org for more information. The St. Lawrence College 13-member A Capella Group will perform seasonal classics at the St. Paul’s Church and National Historic Site (897 South Columbus Avenue, Mount Vernon) at 1 p.m. Visit nps.gov/sapa for more information. The New Rochelle BID Family Day Make A Gift Fair will take place at The New Rochelle Library (1 Library Plaza, New Rochelle) at 10:30 a.m. The “Cook By The Book” Book Club will also meet at the library at 12:30 p.m. to share recipes and sample new dishes. Visit nrpl.org for more information. The Hoff-Barthelson Music School (25 School Lane, Scarsdale) will host its annual Holiday Music Festival and Boutique from 10 a.m.-5 p.m. on Saturday and from 10 a.m.-4 p.m. on Sunday. There will be shopping, food, music and more. Visit hbms.org for more information. Donnie Bosco will perform at Alvin & Friends Restaurant (14 Memorial Highway, New Rochelle) from 7:30-11 p.m. Visit alvinandfriendsrestaurant.com for more information. The Bartow-Pell Mansion Museum (895 Shore Road, Pelham Bay Park) will kick off the December Holiday Season with a celebration of Holiday Trees Past-Present-Future. Visitors can view the trees from noon-4 p.m. on Saturdays, Sundays and Wednesday and on other special occasions through Dec. 31. The museum will also host Holiday Family Day: Santa and Sing-Alongs on Saturday from 10 a.m.-1 p.m. Visit bartowpellmansionmuseum.org for more information. The Junior League of Pelham will light up luminaries around Pelham Town Hall and The Daronco House at 5:30 p.m. as part of the Light Up Pelham (LUP) program. LUP brings attention to the needs of those in need of food in Westchester County. Food collected over the last month will be donated to Hope Community Food Services in New Rochelle at the ceremony. Visit jppelham.org for more information. The Greenwich Ballet Academy will perform The Nutcracker at The White Plains Performing Arts Center (11 City Place, White Plains) at 2 p.m. and 7 p.m. and then again at 2 p.m. on Sunday. Visit greenwichballetacademy.org for more information. Our Lady of Perpetual Help-St. Catharine’s annual Christmas Wreath and Boutique Sale will take place from 4:30-6 p.m. and on Sunday from 8:30 a.m.-1 p.m. at the OLPH School (575 Fowler Avenue, Pelham Manor). Santa will also be available for photos on Sunday. Visit olph-pelhammanor.org for more information. The Village of Tuckahoe Winterfest will kick off in Depot Square from 5-8 p.m. There will be a tree lighting, food, ice skating much more. The Winterfest continues Sunday from noon- 5 p.m. Visit tuckahoe.com for more information. The Scarsdale Library (54 Olmstead Road, Scarsdale) will host “Person, Place Thing with Randy Cohen – An Interview With Max Krohn”. Cohen, the author of The Ethicist column in The New York Times weekly magazine, will tape an interview with Krohn, a Scarsdale High grad, who was the co-founder of TheSpark.com, SparkNotes.com and OkCupid.com. Visit scarsdalelibrary.org for more information. The New Choral Society will present Handel’s Messiah Part I with selections from Parts II and III at the Hitchcock Presbyterian Church (6 Greenacres Avenue, Scarsdale) at 3 p.m. Visit hitchcockpresby.org for more information. 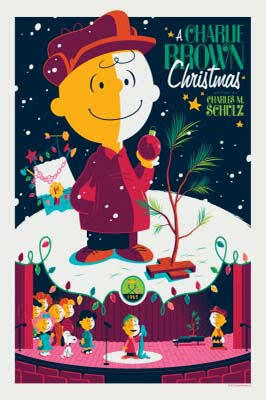 The SOOP Theatre Company will perform “A Charlie Brown Christmas” at The Manor Club (1023 Esplanade, Pelham Manor) at 11 a.m., 1 p.m. and 3 p.m. Visit sooptheatre.org for more information. The 53rd annual Westchester Musician’s Guild Young Artist Concert will take place at The New Rochelle Library (1 Library Plaza, New Rochelle) at 2 p.m. Visit nrpl.org for more information. The Kol Ami Synagogue (252 Soundview Avenue, White Plains) will host a “Dinner Theatre Evening Featuring The Westchester Chordsmen Chorus and Quartets” at 6 p.m. Visit nykolami.org for more information. The Eastchester Historical Society will host its annual Victorian Christmas Party from 1-4 p.m. at The Marble School House (388 California Road, Eastchester). There is also a Santa Stop at Gazebo Park and a Tree Lighting Ceremony in Memorial Park at 4:30 p.m. Visit eastchesterhistoricalsociety.org for more information. The Bronxville Women’s Club (135 Midland Avenue, Bronxville), along with Ballet Arts/ The Performing Arts Center of Southern Westchester, will host An Elegant Holiday Luncheon and an Afternoon of Song and Dance at noon. Visit bronxvillewomensclub.org for more information. The White Plains Library (100 Martine Avenue, White Plains) will host a Celebrate Hanukkah Story Time at 2 p.m. A free ticket will be given out 30 minutes prior to the beginning of the event. Visit whiteplainslibrary.org for more information. New York Times columnist and author Ron Lieber will speak at The Westchester Reform Temple (255 Mamaroneck Road, Scarsdale) at 1:30 p.m. about how, when and why to speak to your kids about money. Visit wrtemple.org for more information. 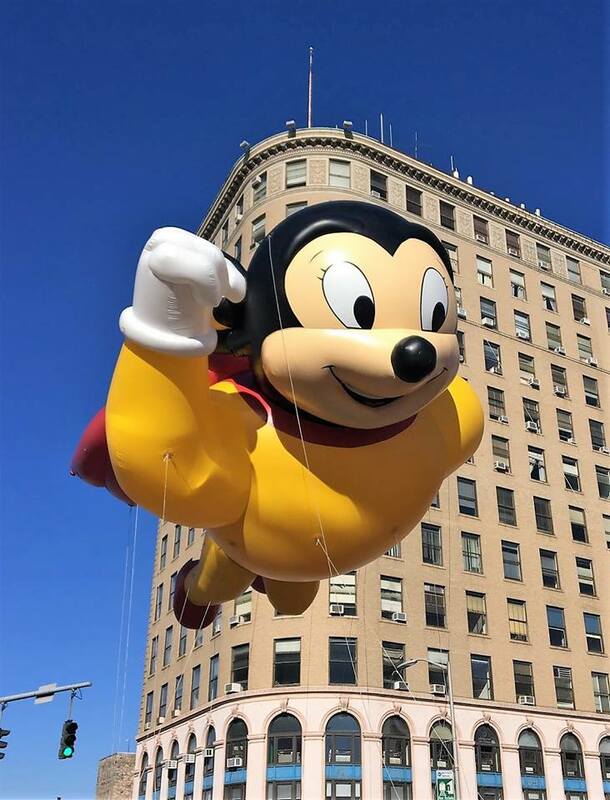 The City of White Plains will host “City Lights, Bright Holiday Nights” at 4 p.m. at Tibbits Park (North Broadway and Lake Street). There will be carolers, music, refreshments and a tree lighting ceremony. Visit cityofwhiteplains.org for more information. The Scarsdale Library Writer’s Center Festival of Writing will take place from 11 a.m.5 p.m. Twenty-six local authors will be featured. Visit scarsdalelibrary.org for more information. Beth-El Synagogue (1324 North Avenue, New Rochelle) will host a blood drive from 8:30 a.m.-12:30 p.m. Visit bethelnr.org/blooddrive for more information. White Plains Hospital will be hosting a blood drive at Scarsdale Synagogue Temples Tremont and Emanu-El (2 Ogden Road, Scarsdale) from 9 a.m.-noon. Visit sstte.org for more information. Scarsdale Synagogue Temples Tremont and Emanu-El will also host Scarsdale resident and former New York City police officer Thomas Ruskin as part of the Brotherhood Breakfast. Ruskin will discuss being a NYPD officer and the progression of policing from the 1980s through today. Visit sstte.org for more information. Temple Israel of New Rochelle (1000 Pinebrook Boulevard, New Rochelle)will host its second annual Community Mitzvah Day from 9:30 a.m.-12:30 p.m. Donations of gently used children’s books, gently used children’s clothing, baby shampoo, lotion, wipes and more are needed and can be donated. Visit tinr.org for more information. The JCC of Mid-Westchester (999 Wilmot Road, Scarsdale) will show “Fight For Justice: David and Me” at 2 p.m. It’s a documentary about friendship and a fight for freedom. Visit jccmw.org for more information.